Milgard Windows are the last window or patio door you’ll ever have to buy. It’s a strong statement and it’s one we stand behind. After all, when they started as a small glass shop in Tacoma, Washington, over 50 years ago, the goal was to be the best window company in the business. Today it still is. 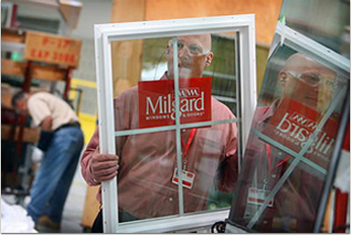 And this dedication to quality and service has made Milgard one of the largest window and patio door manufacturers in the country. Rather than having one or two plants nationwide, Milgard focuses their manufacturing facilities near our customers. So not only do you get windows that are built near you for a shorter lead and delivery times, you have one of the nation’s largest window companies nearby to service your investment long after your dealer has completed the job. When we say this is the last window or patio door you’ll ever have to buy, we mean it. In fact, every properly installed Milgard product is guaranteed against defects in materials and workmanship for as long as you own and live in your home. How can they offer this kind of guarantee? Because they set very high production standards and they work hard to live up to them to greatly reduce call-backs. However, in the unlikely event you do need a repair; we’ll perform it – including materials and labor. No hassles and no hidden exceptions. Clearly the best, time and time again. Milgard has received the highest quality vinyl window in the nation award eight out of the past ten years by Builders magazine. 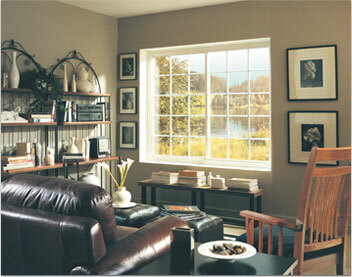 And according to Builders magazine Milgard Windows is the most often used vinyl window in the nation. What these awards mean to us is that we’re doing things right. And what they mean for you is that you’re getting windows you can count on. Value and beauty that can't be beat. If you are thinking about replacing your windows or patio doors, there’s no reason to wait. Especially when you consider that the benefits start immediately. From the curb, as well as from inside, new windows and doors can transform a home from sedate to outstanding. And in addition to the aesthetic value, windows offer one of the best returns on investment of any home improvement project. Especially if they’re Milgard windows. The glass you select is the single most important component when considering energy efficient windows & patio doors. No other component has as much affect on the type of energy savings you'll experience in your home. That's why Milgard offers some of the best insulated glass units in the industry. Cut heating and cooling losses with the Milgard SunCoat Low-E all climate, all-season glass. SunCoat Low-E sets the standard in providing year-round comfort and energy savings. LEARN MORE SunCoatMAX™—for optimal performance A Milgard exclusive technology - optional glass upgrade for even higher energy savings. Advanced glass research has produced a home comfort advantage so effective, it is patent pending. 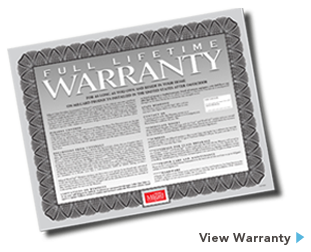 Engineered to meet ENERGY STAR® standards in all zones. SmartTouch™ lock permits one-touch, effortless operation. Optional advanced energy efficiency package includes Milgard's SunCoatMAX™ low-e glass. Available in white or tan in 7 styles.